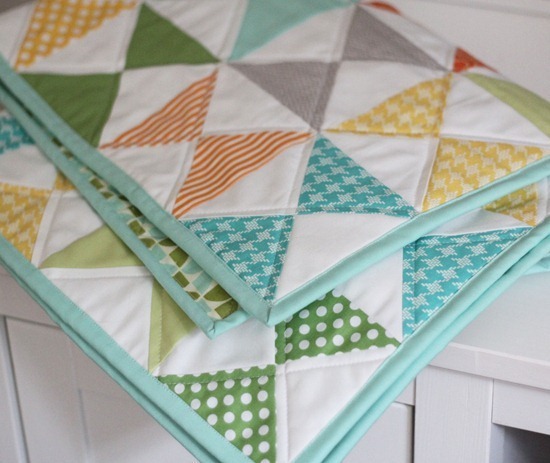 The last time I made this quilt it was for my own pink bundle…man that went by fast! 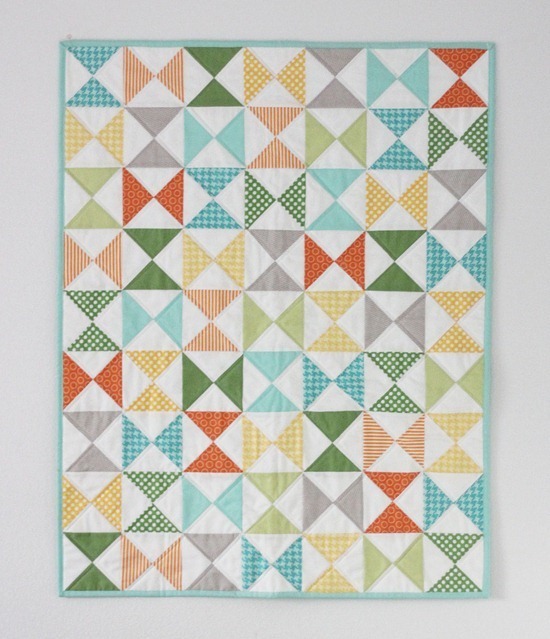 I love this quilt because it is modern but classic, and perfectly gender neutral in these colors. 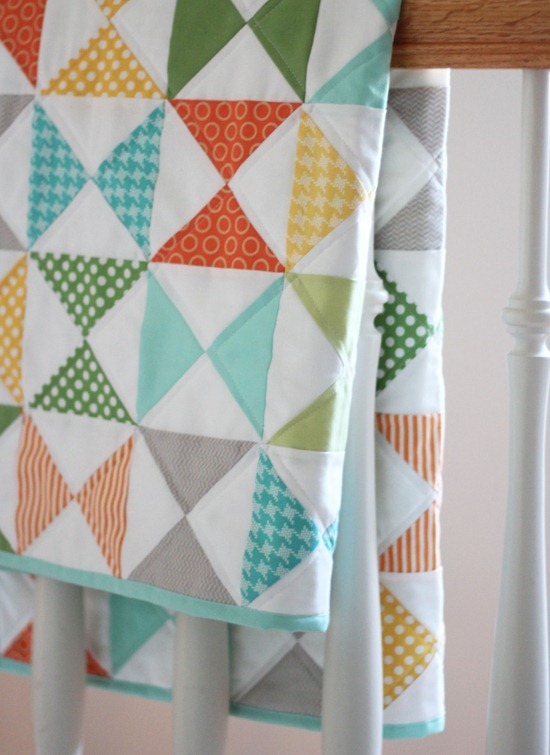 The backing is a Marmalade pinwheel print…it looks so great with the front. I’m craving these bright colors after taking all of my Christmas décor down…my house looks bare! Your new quilt is again so beautiful! I love simple patterns and beautiful colours with white! This is a great quilt! Do you know of anybody who will quilt quilts in the Seattle area? I just moved north of Seattle and would like to find somebody who isn't too crazy expensive. Thanks! As I stick to the classical definition of diet = way of living you can't shock me! Your doughnuts look yummy! I have never made doughnuts, they're not so common here in Germany. Yum! I haven't packed away my Christmas stuff yet, it's too hot to even think about it. I hope no one buys those quilt kits before I get to them! 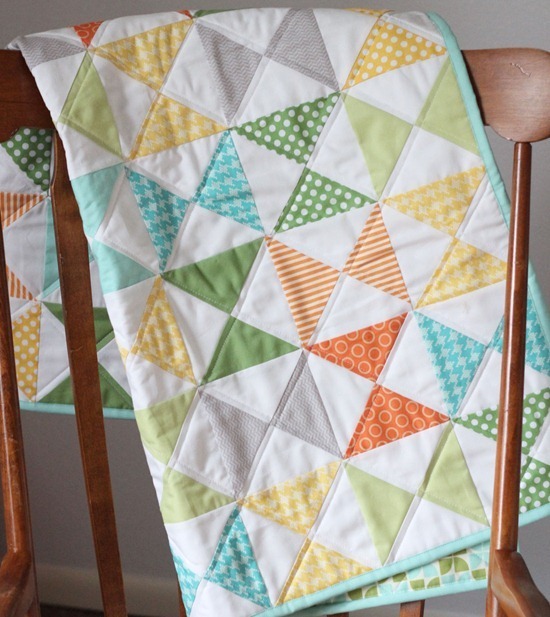 Love the fabric choices – and thank you very much for putting together quilt kits b/c then I don't have to choose and can rely on your good eye! But my quilt making (yes, I'm FINALLY a quilt maker…I've done two in the last few months!!!) will take a temporary hold with a new baby girl arriving her in just a few weeks! I love the summery colors! 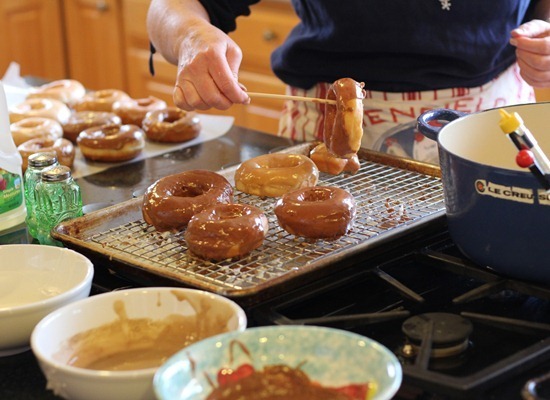 Love the donuts and in our home, we make wonderful low fat ones that are amazingly delish! Your quilt is beautiful! I wish I could figure out triangle as you have. Happy New Year! I so love this pattern. I am currently making this quilt using your tutorial already in a purple and aqua. I hope to finish it in the next couple of weeks. But what if doughnuts are your New Year's diet? Happy New Year…and happy making! With the fridged temps in Seattle now, i think you've picked the perfect things to console yourself with: quilts and doughnuts! And you look so darn sweet! OH YUM, doughnuts, I have not made them for years, I stick to sweet buns and cinnamon rolls. Gary- I can't find your email or a blog to respond to…but I send all my quilts out to a long arm quilter, her name is Kathy and her button is on my sidebar towards the top..and she's not crazy expensive! :) Hope that helps and that you see this! Oh my – donuts! You're killin' me! Another beautiful finish ; ) so fresh looking and fun. I love your quilts! I have at least 4 of your patterns. You make things look easy, even making donuts, but me no, I'm trying to eat that 2 pounds of See's candy! Love the fruity colours, and the sugary doughnuts. Happy New Year Allison, it is with health, success and creativity. Beautiful quilt! I love your choice of colors, so fresh and fun. Love the quilt. Would love the doughnuts, but I have to loose 40 lbs. by May. Yummy doughnuts and Darling QUILT! What gorgeous quilt colours – I love the backing! Beautiful quilt!! Hope you get more kits! I'm loving those fresh bright colors! Way to beat the winter blues. And the backing is perfect…great choice. As for the doughnuts…wish I could pluck one off the screen and into my gullet! Think you might have to share the recipe for those. bahahahah – please share the recipe! Beautiful quilt! 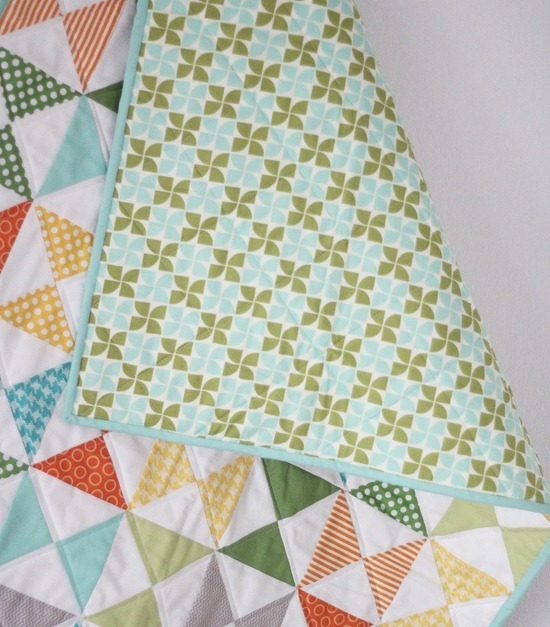 The Lemon Lime bundle is sold out at Everyday Fabrics, but I hope they are able to restock!